H&M is bringing its global recruitment campaign “Place of Possible” to Greater China in collaboration with TBWAShanghai. The film spotlights 44 H&M employees across Mainland China, Taiwan and Hong Kong, as they voice their real-life career experiences and aspirations, aiming to inspire and attract ambitious talent to join H&M and the fashion retail industry. The campaign was created after conducting five months of preparation work, including a thorough research of H&M’s employees to better understand their experiences and allow them to express themselves ahead of the official production. TBWA has gradually became H&M’s global creative partner, in both the United States and China. The concept of the campaign is an adaptation of ‘Place of Possible’ developed by TBWAChiatDay NY, which proved to be effective in driving recruitment in the United States. The Greater China campaign has been adapted to remain true to the local employees and the aspirations in the region, through finding authentic insights and capturing the tone of voice and sensibility of the people interviewed. 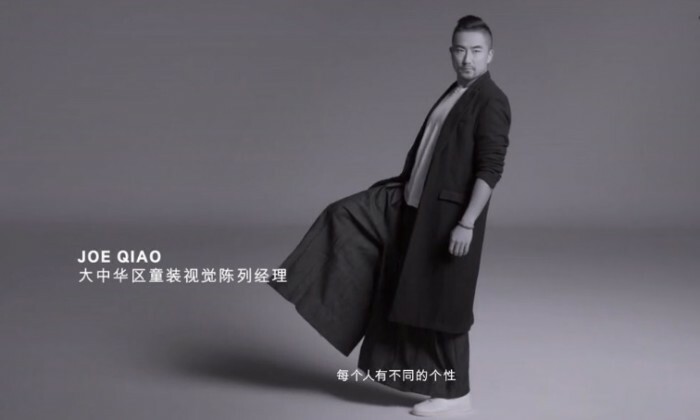 “It feels natural for us to launch the ‘Place of Possible’ campaign with our own employees as brand ambassadors because they’re our most important asset,” said Magnus Olsson, H&M’s country manager of Greater China. “We are grateful that H&M entrusted us in giving their employees a voice, and allowed us the freedom to do it without censorship or restrictions,” said Muriel Lechazynski, brand team leader at TBWAShanghai. The campaign will run in outdoor, online, and in-store displays across Greater China.